The Nuclear Regulation Authority on Wednesday gave the green light to the restart of an aging nuclear power plant northeast of Tokyo, idled since it was hit by the tsunami that caused meltdowns at the Fukushima No. 1 plant. The Tokai No. 2 plant is the first nuclear plant affected by the March 2011 earthquake and tsunami disaster to have cleared screening by the nuclear watchdog. Other steps are still required before it can resume operations. 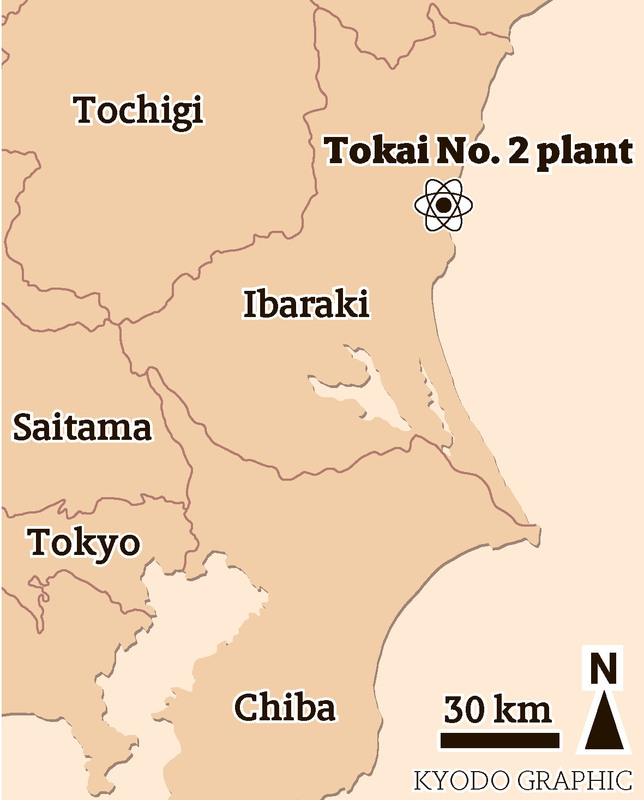 Due to the quake, the plant in the Ibaraki Prefecture village of Tokai suffered an emergency automatic shutdown of its reactor and was cut off from its external power source. After then being hit by a 5.4-meter tsunami, one of its three emergency power generators was incapacitated. But the other two remained intact and allowed the reactor to cool down 3½ days after the disaster. Despite the approval by the NRA, the plant still needs to clear two more screenings by regulators by November, when it will turn 40 years old. If it fails, it could face the prospect of decommissioning. Tougher safety rules introduced after the Fukushima disaster in principle prohibit the operation of nuclear reactors beyond 40 years. But extending a unit’s life for an additional 20 years is possible if operators make safety upgrades and it passes screenings. Actual operation is unlikely before March 2021, when construction to bolster safety measures is scheduled to be completed. The restart plan also needs to be approved by local municipalities. 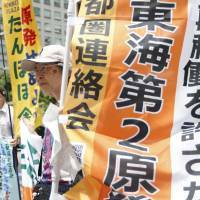 On Wednesday morning, a group of about 10 citizens protested the restart outside the NRA’s offices in Tokyo’s Minato Ward. But Eiji Sato, the 69-year-old chair of the village’s chamber of commerce, said the plant’s resumption is key to Tokai’s future. “The village has thrived on nuclear power generation,” he said. The Tokai No. 2 plant, operated by Japan Atomic Power Co., uses a boiling-water reactor, the same type as those used at the Fukushima No. 1 plant, which suffered core meltdowns and spewed a massive amount of radioactive material into the atmosphere in 2011. 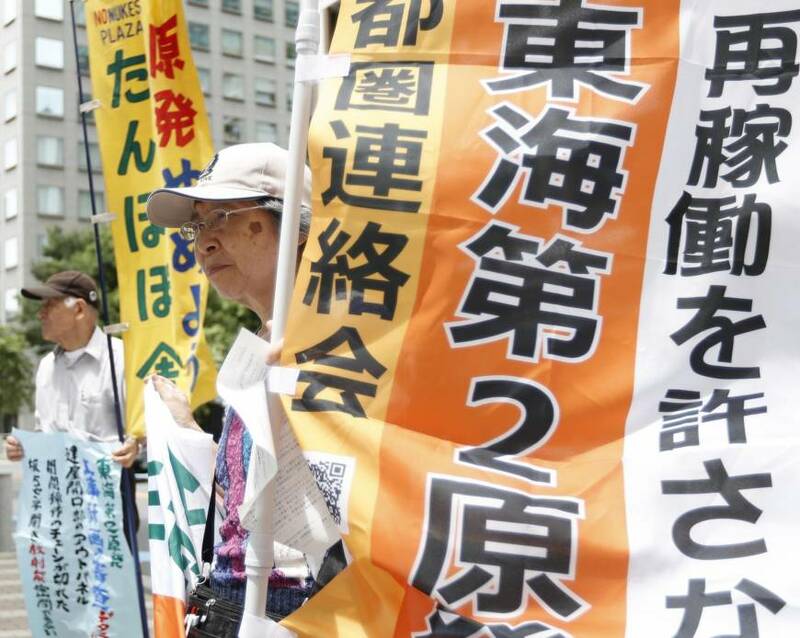 It is the eighth plant to get approval for a restart under the stricter safety rules and the second with a boiling-water reactor, following the Kashiwazaki-Kariwa plant, run by Tokyo Electric Power Company Holdings Inc. 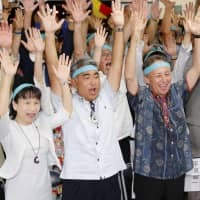 The plant’s evacuation plan — which covers 960,000 residents, the largest number of potential evacuees for a nuclear plant in Japan due to its location near a metropolitan area — has yet to be compiled. 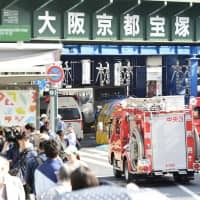 “Because of the large number of residents around the plant, compiling effective anti-disaster measures and an evacuation plan in a wide area is a huge challenge,” Oigawa said. The operator filed for a safety screening to restart the plant in May 2014. 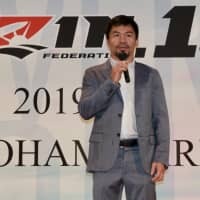 It predicts a potential tsunami as high as 17.1 meters and expects ¥180 billion ($1.63 billion) will be needed to construct coastal levees and beef up power sources, among other safety measures. Although Japan Atomic Power’s sole business is nuclear energy, none of its reactors has been online since the 2011 quake. Given its financial problems, the NRA has asked the utility to show how it will finance the safety measures. Tepco and Tohoku Electric Power Co., which had been receiving electricity from the plant when it was in operation, have offered to financially support the company. The NRA decided at the meeting to seek industry minister Hiroshige Seko’s views on whether Tepco’s financial contribution could affect the costs of scrapping the Fukushima No. 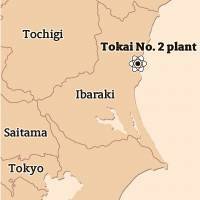 1 plant and enhancing safety at the Kashiwazaki-Kariwa plant.